The wedding ring, that most famous and instantly recognizable symbol of the joining of a man and a woman as husband and wife in the institution of marriage, has a long, wide-spread and mysterious history. The ring is of course a circle and this was the symbol of eternity for the Egyptians as well as many other ancient cultures. It had no beginning and no end, like time. It returned to itself, like life; and the shape was worshipped in the form of the sun and the moon. The hole in the center of the ring is not just space either; it is important in its own right as the symbol of the gateway, or door; leading to things and events both know and unknown. 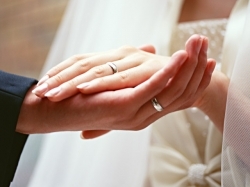 A wedding ring is often worn on the left ring finger, which is the fourth finger from the thumb of the left hand. But in some countries like Bulgaria, Norway, Germany, Poland and Russia it is worn on the right ring finger. The wedding ring is usually worn on the fourth left ring finger of the left hand because it is believed that the left ring finger contains the “vena amoris” or “vein of love”. It is traditional belief that the “vein of love” directly ran from the heart to the fourth finger of the left hand. It’s up to you. Most people move their engagement ring to their right hand so that the wedding band will not be “upstaged” and can be placed first on your finger, in its traditional position “closest to the heart.” Later you can move your engagement ring to your ring finger as shown below. You may also want to not wear your engagement ring that day — stow it somewhere safe — especially if you are wearing gloves. Customs, Rituals & Traditions: Let Them Eat Cake! History: In ancient Rome, marriages were sealed when the groom smashed a barley cake over the bride’s head. (Luckily, tiaras were not fashionable then.) In medieval England, newlyweds smooched over a pile of buns, supposedly ensuring a prosperous future. Unmarried guests sometimes took home a little piece of cake to tuck under their pillow. 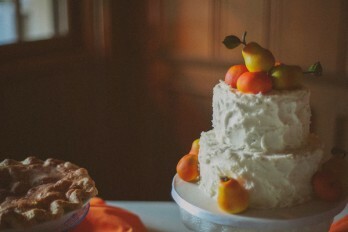 Fast forward to 2012 and the sky is the limit as far as what you choose for your wedding cake. 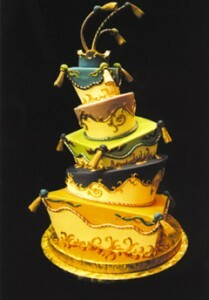 Available in almost any size or shape, color or flavor, wedding cakes can be made as simple or elaborate as you wish. We are all familiar with Mike’s Amazing Cakes. Mike will take your vision and create a work of art. I hope Mike provides cutting instructions for his cakes! And what about the cake, icing and filling flavors? Depending upon your baker, you will have many choices: white cake, chocolate cake, carrot cake to name just a few. For icing how about buttercream, cream cheese or fondant? The filling can be as simple as more buttercream or as seasonal and delicious as fresh raspberry mousse. Pick flavors that you love but also flavors that your guests will enjoy and remember. Whatever you choose for your wedding cake, be sure to have fun. This is a time to be inspired and there are so many wonderful bakeries that are more than willing to meet your expectations. 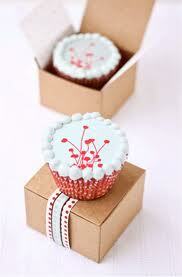 What kind of cake/cupcakes are you having for your wedding? MissElaine http://seattleweddingofficiants.com/wp-content/uploads/2016/04/logo2.png MissElaine2012-01-17 23:35:282012-01-17 23:35:28Customs, Rituals & Traditions: Let Them Eat Cake! Customs, Rituals & Traditions: Why do grooms carry brides over the threshold? Each week I will examine a wedding custom, ritual or tradition that has been passed from generation to generation. We’ll look at it’s origin and how it has influenced the lives of our ancestors and hot it impacts us today. We’ll also look at how we create our own customs and how these new traditions are a reaction to and a reflection of our changing world. As it turns out, weddings in the days of yore sometimes followed kidnappings. This explains not only the role of the best man but also why the bride and groom customarily leave the wedding celebration before everyone else. It’s symbolic of the groom stealing away with his bride, whisking her from her family and into a new life with him. The kidnapping theme also explains why grooms carry their brides over the threshold in some cultures. In Medieval Europe, carrying a bride into her new home prevented her from seeming too enthusiastic about losing her virginity. By picking her up and taking her into their home, the groom provided an alibi for his wife’s chastity. Interestingly, this isn’t the only origin and rationale for a groom carrying his bride across the threshold after their wedding. It appears that this custom also developed in other cultures for different reasons. Chief among these reasons was to thwart bad luck and evil spirits. Superstitious Western Europeans believed that a bride who tripped over the threshold of her new home would irrevocably bring bad luck to her home and marriage. Since the husband appears to have been immune from such happenstance, the groom carrying the bride into the home proved a good way to avoid such a mishap altogether. This fear of tripping appears to have its roots in ancient Roman culture, which held a similar belief. Much, if not all, of the original meaning behind a groom carrying his bride across the threshold has been lost in modern Western weddings. It’s remarkable that the practice continues, even if a newly wed couple isn’t entirely sure why to do it. It’s almost as if a collective memory of the danger with which a threshold may be fraught remains. And after all, it’s better to be safe than sorry. Did you get carried over the threshold on your wedding day? Was your threshold in some other country on your honeymoon? I invite you to share your threshold stories with my readers! MissElaine http://seattleweddingofficiants.com/wp-content/uploads/2016/04/logo2.png MissElaine2012-01-11 02:10:092012-01-11 02:10:09Customs, Rituals & Traditions: Why do grooms carry brides over the threshold? Where did the wedding custom of “something old, something new, something borrowed, something blue” come from? Each item in this poem represents a good-luck token for the bride. 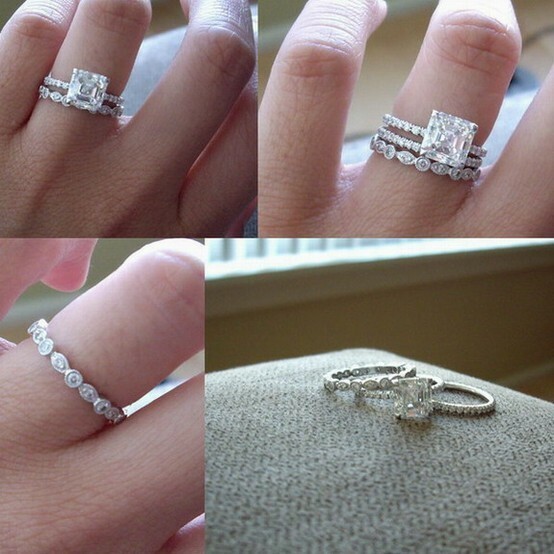 If she carries all of them on her wedding day, her marriage will be happy. “Something old” symbolizes continuity with the bride’s family and the past. “Something new” means optimism and hope for the bride’s new life ahead. “Something borrowed” is usually an item from a happily married friend or family member, whose good fortune in marriage is supposed to carry over to the new bride. 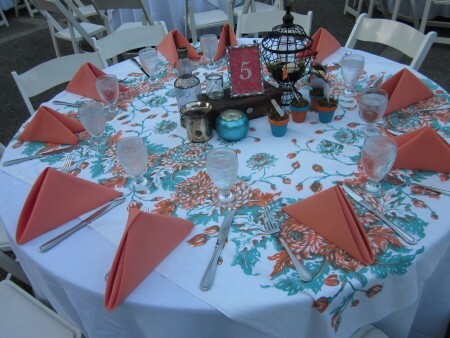 The borrowed item also reminds the bride that she can depend on her friends and family. Please share with the readers the items you collected for your Something Old, Something New, Something Borrowed, Something Blue tradition on your your wedding day. Each week I will examine a wedding custom, ritual or tradition that has been passed from generation to generation. We’ll look at its origin and how it has influenced the lives of our ancestors and how it impacts us today. We’ll also look at how we create our own customs and how these new traditions are a reaction to and a reflection of our changing world. We have all heard the expressions “tied the knot” or “giving one’s hand in marriage”. But have you ever wondered where those sayings came from? And no, it’s not in the same category as the “ball and chain”! It’s in reference to the ancient tradition of handfasting. This lens gives an overview of the ancient tradition of handfasting in Wedding ceremonies. The term Handfasting is taken from Old Norse “hand-festa” meaning “to strike a bargain by joining hands”. 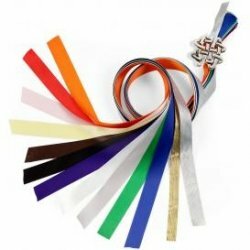 Handfasting is the tradition of lightly binding the hands of a couple together using a cord, rope, ribbons, a scarf, tartan or strips of fabric. It is meant to signify a couples coming together as “One”. (or perhaps to keep the Groom from running away!) Whatever it’s original intention, it has become a popular new tradition for today’s couples seeking new and Spiritual ways to honor their love. 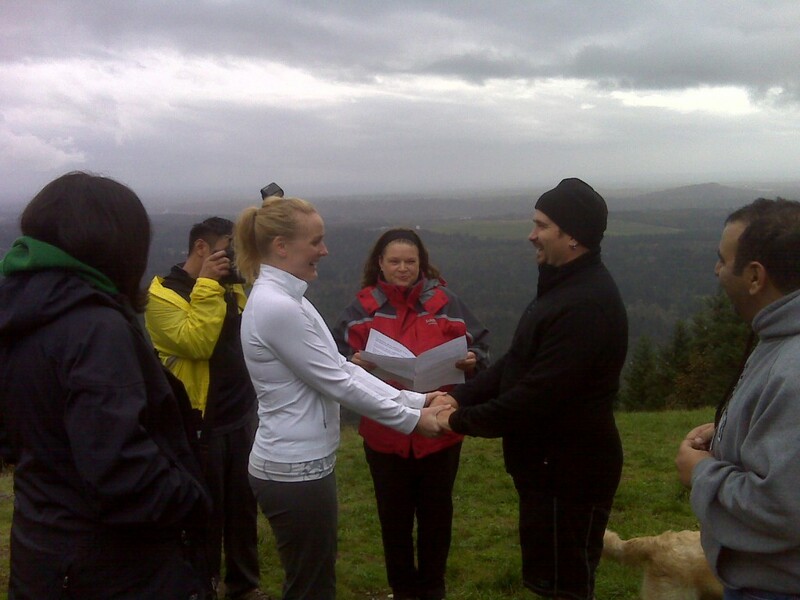 Origins Of Handfasting Handfasting was originally practiced by the Greeks and Romans. The Romans created a garland made of magnolia, elder and roses. It was then wrapped around the couple’s wrists to signify love and fidelity. In ancient legends, lovers were united together as they “tied the knot” in the tradition of Celtic handfasting. The ceremony was especially common in Ireland and Scotland. 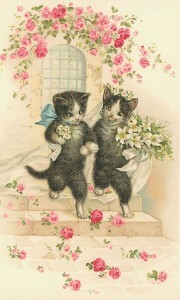 It was commonly the way that couples were “officially” married before the church became involved in Wedding ceremonies. Variations on the theme have since been used in other countries as well. 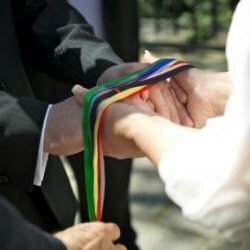 Handfasting has seen a modern day resurgence owing in part to the movie Braveheart,in which William Wallace and his girlfriend Murron are joined together with a handfasting ceremony. This has especially been true in Scotland where the movie is based. 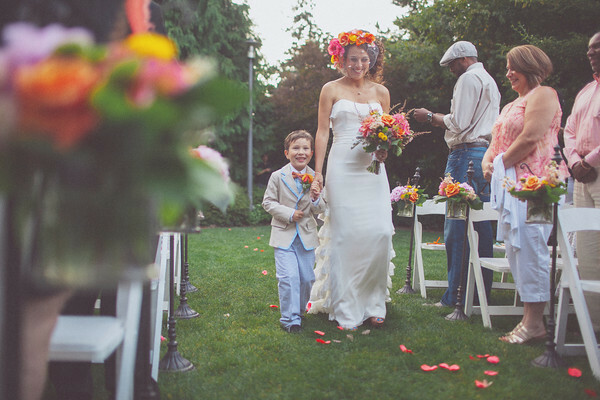 I blog about everything wedding: venues, style, vendors, traditions and more! 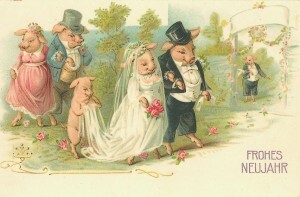 What I haven’t blogged about, however, is the actual wedding ceremony. 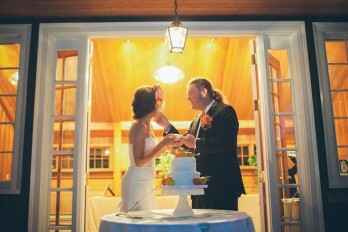 One of the first things I always tell my couples is, “There is no right way or wrong way to craft your ceremony. Only your way.” Having said that, there are some basic components that are a good guideline when you are setting up the structure of your ceremony. In this blog post I would like to address the Greeting. In summary, the Greeting is really a time to set the tone for the remainder of the ceremony. It is an opportunity to put everyone at ease and welcome them as a community to not just watch the couple get married but to feel they are a part of the celebration. 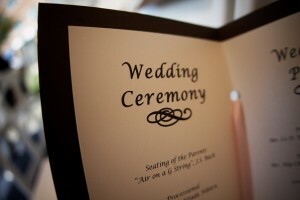 Do you have a special greeting that you incorporated into your wedding ceremony that you would like to share? 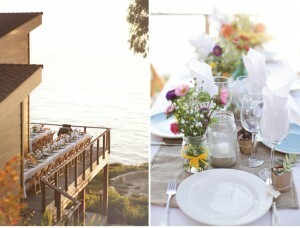 New trend in weddings: camping, hiking and everything outdoors! Ok, so I can already hear a big sigh of “here she goes again” from my colleagues in the wedding industry, but I’m really feeling a trend lately. That trend is creating a magical wedding day with friends and family at a rustic cabin in the woods, beach house or anywhere outdoors! I don’t mean the kind where you book a farm location and have it catered by folks from the city or a big lodge in the mountains. What I am referring to is gathering just close friends, family and the dogs; perhaps hiking a mile or less to a log cabin or beach house (with plumbing, of course); and decorating it in your own personal style. ~having a DIY wedding/reception allows you literally a blank canvas to work out a beautiful plan for food, decorations, music and more! ~everyone loves to get out of town! 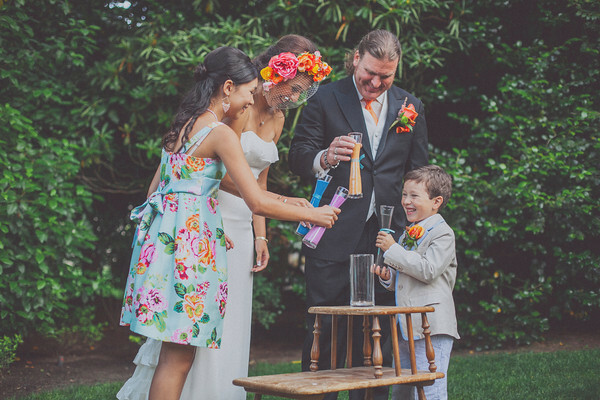 The entire feeling of your “getaway” wedding will be more relaxed — sort of like a mini vacation! 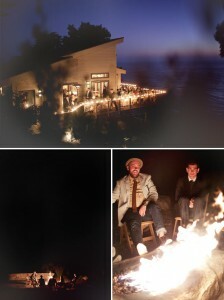 Wedding night bonfire on the beach! Please do not misunderstand me. I wouldn’t be in business if there weren’t any large hotel-style weddings. But I would like you to consider the alternatives because the sky is the limit! 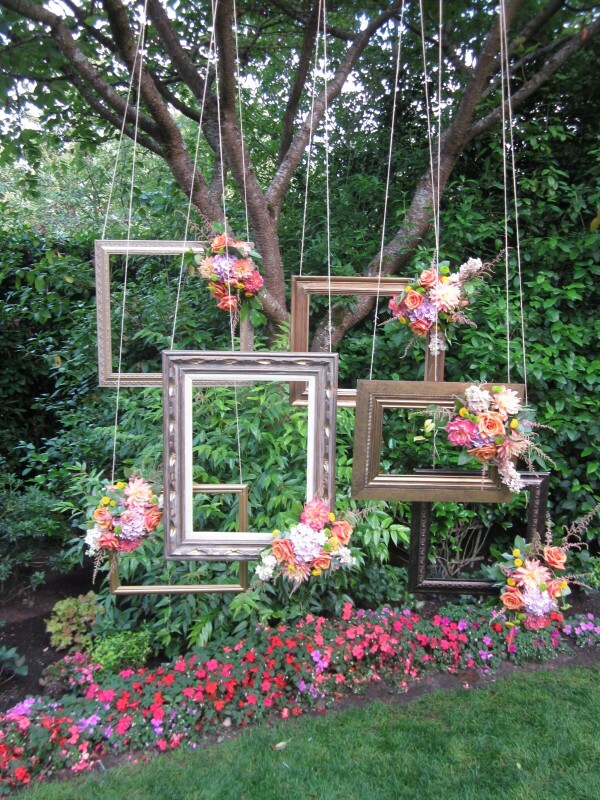 Be creative, take risks and mostly have fun planning your wedding!! MissElaine http://seattleweddingofficiants.com/wp-content/uploads/2016/04/logo2.png MissElaine2011-12-16 17:01:532011-12-16 17:01:53New trend in weddings: camping, hiking and everything outdoors! White has long been accepted as the traditional color of the wedding dress, but wedding gowns were not always white. 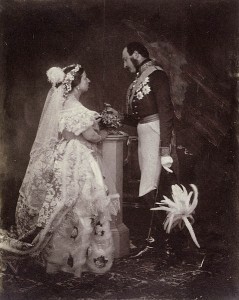 The marriage of Queen Victoria to her cousin Albert of Saxe- Coburg in 1840 has had more influence on weddings than any other. Queen Victoria put the wheels in motion by marrying in white. Though brides continued to wed in gowns of different colors, white was now set as the color of choice for weddings and has continued ever since. Edwardian brides took the traditions of their Victorian ancestors to new extremes. Fashions became more extravagant as the decade progressed, but came to a screeching halt with the outbreak of WWI. Styles became simpler, and also reflected the changing role of women in society with hems getting shorter and the disposing of tightly laced corsets. Coco Chanel was a powerful force behind the change in women’s’ fashions, and was the one who officially introduced the short wedding dress in the 1920’s. It was a white knee length dress worn with a long train. This cemented white as the universal color of the wedding dress. 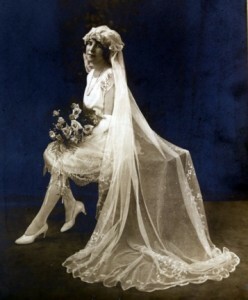 When the Depression hit, brides made do with their “best” dress for the wedding. My great grandmother, who was married in 1928 had a new white wedding dress, but after the wedding she dyed it navy, keeping only the collar and cuffs white—a common practice at that time. During WWII, women considered it their duty to give up the traditional wedding , although most brides might be engaged only for a few weeks or even days before the wedding took place. This did not leave enough time to find a wedding dress so the best suit had to do. If the bride was set on having a white dress, one could be borrowed or rented for the ceremony. If both the bride and groom were in the military they were married in their respective uniforms. After the war, prosperity made it possible for the large dream weddings inspired by the Victorian era to become a reality. Grace Kelly’s marriage to Prince Monaco garnered much publicity because of its grand fairy tale wedding. She wore a white silk and lace gown. The focus of wedding dresses has shifted since the 1950”s. The emphasis now is on the individuality of the bride. So whatever color you choose to be married in, you now know a bit more behind the tradition of the white wedding dress.